Numbers define basketball. Points, wins and rings make players, teams and legacies. From rec leagues to the NBA, ballers pour their hearts into accumulating big numbers. There’s only one number players are powerless to change: their height. That’s what makes the Five-Nines so magnificent. 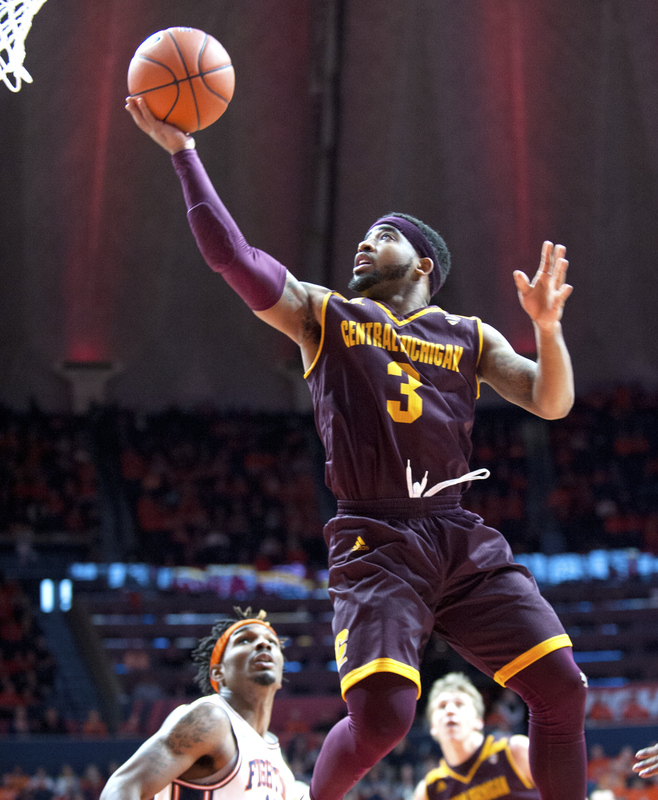 This season, two 5-foot-9 players, Isaiah Thomas of the Boston Celtics and Marcus Keene at Central Michigan University, are putting up some of basketball’s biggest numbers, averaging close to 30 points per game. Both are absurdly short in this tall man’s game. 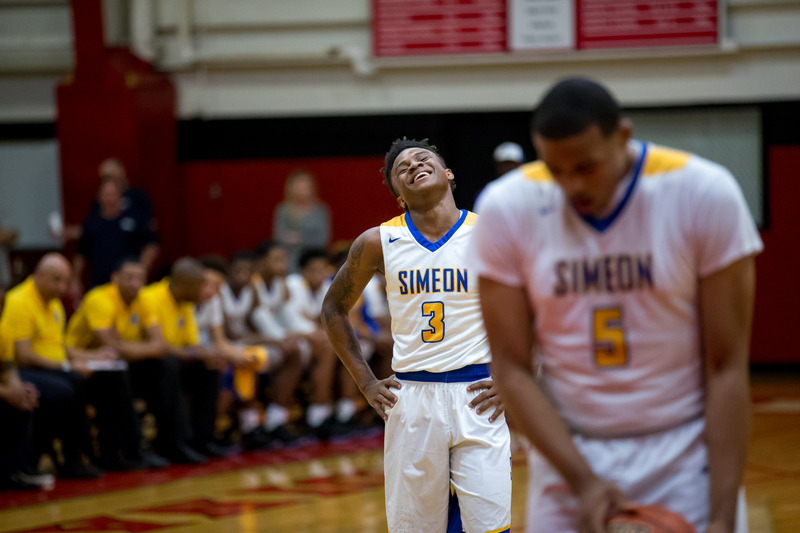 Both are inspiring another 5-9 point guard, Evan Gilyard, who just guided the storied Simeon Career Academy to a Chicago high school championship. The odds are stacked against the Five-Nines. No NBA player is shorter than Thomas. No collegian as short as Keene has led the nation in scoring in almost 70 years. Only one ranked high school senior is listed as being shorter than Gilyard. “Everybody, every step of the way, they always told me I was too small. I wasn’t gonna make it,” Thomas told The Undefeated as he prepared to play in his second All-Star Game. Doubters have always tried to keep them down. Even after earning all-state honors at Warren High School in San Antonio, Keene’s lack of size scared off every Division I college except Youngstown State. Unhappy with being pigeonholed there as a spot-up two-guard, Keene transferred after his sophomore year to Central Michigan. While sitting out a year as a transfer, Keene proved unguardable in scrimmages. That earned him the greenest of green lights, as proven by Keene’s 360-degree 3-pointer against Green Bay. He’s shooting an efficient 45 percent from the field and 36 percent from behind the arc to go along with 4.9 assists and 4.5 boards per game. Central Michigan’s guard Marcus Keene (3) during the second half of their NCAA college basketball game in Champaign, Ill., on Saturday, Dec.10, 2016. Only 69 of 5,341 Division I players are 5-9 or shorter, compared with 98 who are 7 feet or taller. Keene, a junior, will be the shortest player to lead Division I in scoring since 1947-48, when 5-9 Murray “The Rampaging Redhead” Weir averaged 21 for Iowa using set shots and underhand free throws . Keene was 5-2 in ninth grade and did everything he could to get taller, even bypassing his asthma medicine when he heard it could limit his growth. Thomas had a machine in his basement that suspended him upside down and another to stretch him out. Gilyard, on the other hand, never worried about his size. “I pretty much look at it as a blessing. I don’t look at it as an obstacle,” said Gilyard, 18, who lives in the Englewood neighborhood on Chicago’s South Side. Only two of ESPN’s top 100 high school seniors are under 6 feet. Gilyard is not among them. He’s number 306 on 247sports.com’s list of the top seniors, where only one player is shorter than him. Simeon’s NBA alumni include Jabari Parker, Derrick Rose, Nick Anderson and Bobby Simmons. In this year’s city championship game, Gilyard tallied 18 points and went 9 for 9 from the free-throw line. 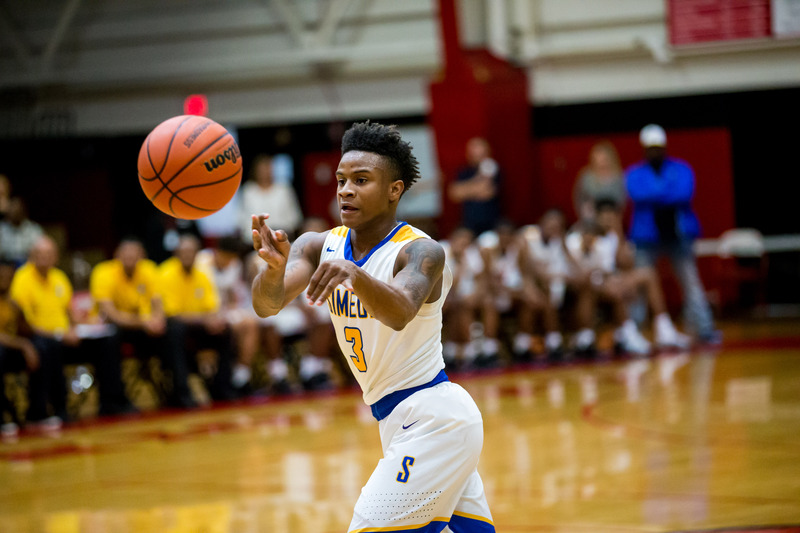 He’s now hoping to lead Simeon to its eighth state title, and has committed to UTEP for next season. Evan Gilyard #3 passes the ball during their IHSA Class 4A Boys Basketball Semifinal game against Shepard at Eisenhower High School in Blue Island, Illinois on February 28, 2017. Big men start salivating as the Five-Nines approach the basket. Then the little guys lift off. Thomas’ vertical was measured at 40 inches at the NBA combine. He missed a dunk in this year’s All-Star Game, but a few days later Instagrammed an off-the-bounce windmill. Gilyard, a ferocious defender, has turned several steals into dunks this season. Keene has a 42-inch vertical, and uses it to launch himself while the bigs are still earthbound to create contact and free throws. 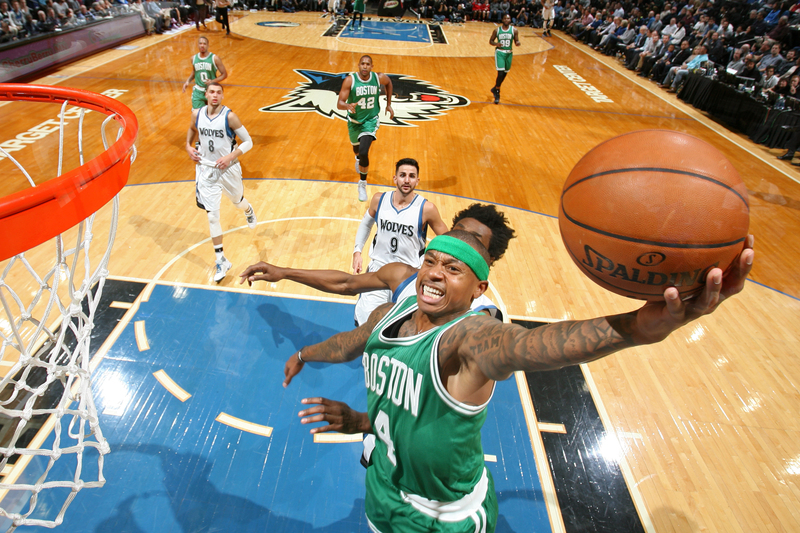 Isaiah Thomas #4 of the Boston Celtics drives to the basket against the Minnesota Timberwolves on November 21, 2016 at Target Center in Minneapolis, Minnesota. Keene averages 8.0 free throws per game and shoots 82 percent from the line. Thomas shoots 8.9 times per game from the stripe, at 91 percent. Nobody but Thomas would have predicted that he would score like this in the NBA – 29.6 points per game, second in the league. And he owns the fourth quarter. The average NBA player is 6-7. No pro as small as Thomas has ever averaged so many points. The closest was 5-10 Michael Adams’ 26.5 points per game in 1990-91. “I always believed in myself and believed that something like this short height by NBA standards could be a blessing in disguise,” Thomas said. For the Five-Nines, that means handling the ball so low to the floor it’s practically untakable, and using hesitation, change of pace, and, of course, speed to pierce defenses. 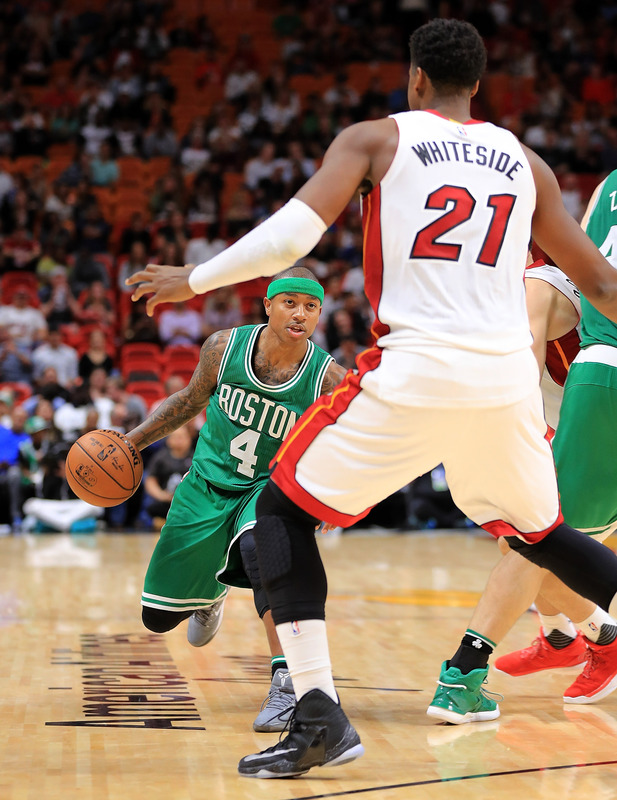 Isaiah Thomas #4 of the Boston Celtics drives on Hassan Whiteside #21 of the Miami Heat during a game at American Airlines Arena on November 28, 2016 in Miami, Florida. Keene exploded into the national consciousness early this season as he surpassed 30 points per game. No D-1 player has broken that barrier for the season since Charles Jones averaged 30.1 for Long Island University-Brooklyn in 1996-97. Keene is now averaging 29.4. He needs to score 79 points over his next two games – the regular-season finale Friday, and the Mid-American Conference (MAC) tournament opener Monday – to reach the magic number. It could happen. Keene has five 40-point games this season, plus a 50-piece against Miami of Ohio, when he went 10-15 from the 3-point line. But the buckets come tougher now. All the national press and ESPN highlights bring more defensive attention. CMU is 16-14 and mired in a six-game losing streak. In a blowout loss to Eastern Michigan on Feb. 28, Keene was held to 21 mostly garbage-time points as EMU’s coaches constantly hollered about keeping Keene from getting a clean look at the basket. Still, Keene has already set the single-season scoring record in the MAC, where NBA stalwarts Nate Thurmond, Dan Majerle, Wally Szczerbiak, Bonzi Wells, Gary Trent and Chris Kaman once played. And he sees no reason to change his identity as a scorer to succeed at the next level – not with Thomas opening that lane. 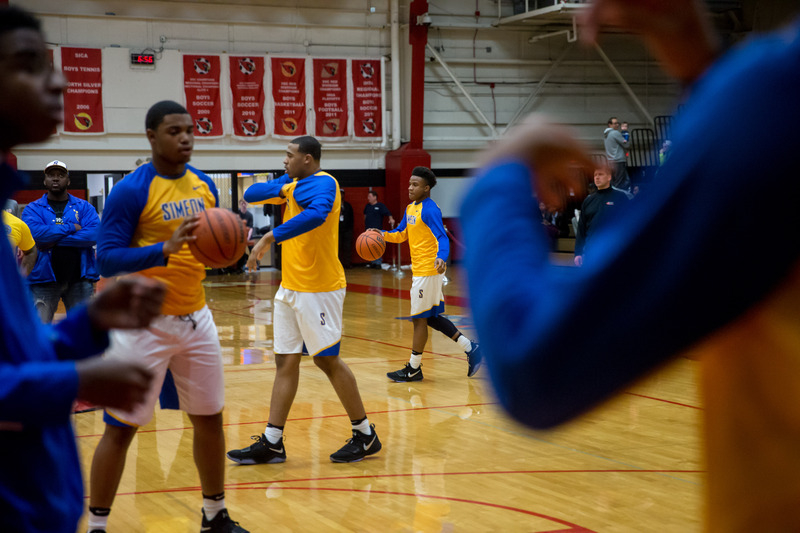 Evan Gilyard #3 of Simeon laughs as teammate Talen Horton-Tucker #5 prepares to take a free throw against Shepard IHSA Class 4A Boys Basketball Semifinal game against Shepard at Eisenhower High School in Blue Island, Illinois on February 28, 2017. Like Thomas. He was the 60th pick of the 2011 draft – dead last. Evan Gilyard #3 of Simeon dribbles the ball during warmups before their IHSA Class 4A Boys Basketball Semifinal game against Shepard at Eisenhower High School in Blue Island, Illinois on February 28, 2017. That’s how Thomas became an All-Star and joins Calvin Murphy as the best of the shortest in NBA history. “Have faith in yourself. Believe in yourself. Always have fun,” Thomas said. “As long as you believe in yourself, you’ll be all right. No matter what, Keene will always believe in getting buckets. Keene does have a confession to make, though. It’s about what the measuring tape says when he stands against it with no sneakers on. Undefeated Senior Writer Marc J. Spears contributed to this report.